With the upcoming summer publication of my first short story collection, Ghost Summer, I have been focusing on short fiction for the past couple of years. I always encourage newer writers to hone their craft on short stories before potentially getting lost in the maze of a novel, but with a caveat – writing short stories is not EASY. For some writers, they’re more difficult. The language is often sharper by necessity. But they’re also great for learning structural compression—beginning, middle and end. I’m pleased with my first two Nayima survivor stories in The Apocalypse Triptych edited by John Joseph Adams and Hugh Howey (“Removal Order” and “Herd Immunity”). I wanted the third story, “Carriers,” to take place about forty years in the future, reimagining my plague concept but keeping Nayima’s core character intact. As the deadline drew near, I had breakthroughs and wrote in a white heat, believing I’d expressed my vision. But the editors sent it back, asking for revisions. I was ready to defend the story and point out all the reasons it was being misunderstood—but when I read it again after some time away, I realized they were right. The story was flabby and wordy. One scene was so crammed with infodump that it was like a textbook example. I’d saved too much of the good stuff for toward the end—an oh-so-revealing interaction with another character. All feedback gives me a shape to walk toward in the fog. I spent hour after hour revising the story. I moved the late interaction higher, to the second scene, and the story brightened. Then, a domino effect: with an earlier reveal, the infodumpy scene could be significantly trimmed down AND now had much deeper emotional impact on its own merits. Then I trimmed. And trimmed. Did the sentence teach me anything about the character? Could the second half of the sentence be snipped off? Was it necessary to include this information? Was this sentence too clever for its own good? Some of the phrases and images that had come to me first, helping to ignite the rest of the story, ended up being cut. The story got slim. And crisp. And engaging. 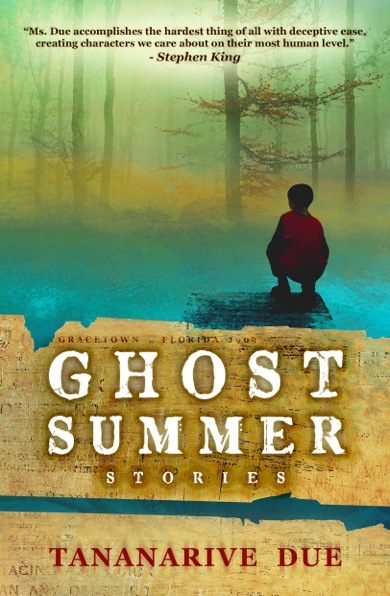 At the same time, I was getting feedback from Paula Guran, the editor of my upcoming Ghost Summer short story collection, on an unpublished story called “Vanishings.” It wasn’t working for her. It was confusing. Any time I struggle with a piece of fiction, I’m haunted by the unfinished stories on my old floppy disks, written in WordPerfect, when I was a newer writer. I lost interest in two novels, once about a hundred pages in, about two-hundred into another (hand-written, no less). I had a short story with a great gimmick I’d never truly paid off. My unfinished stories haunt me—not because I really believe any of them were The One, but because I gave up on them. And I’m always afraid that I will give up on my stories again as writing seems to grow harder and harder. But fresh from my last revision experience, I realized I could crack “Vanishings” too. 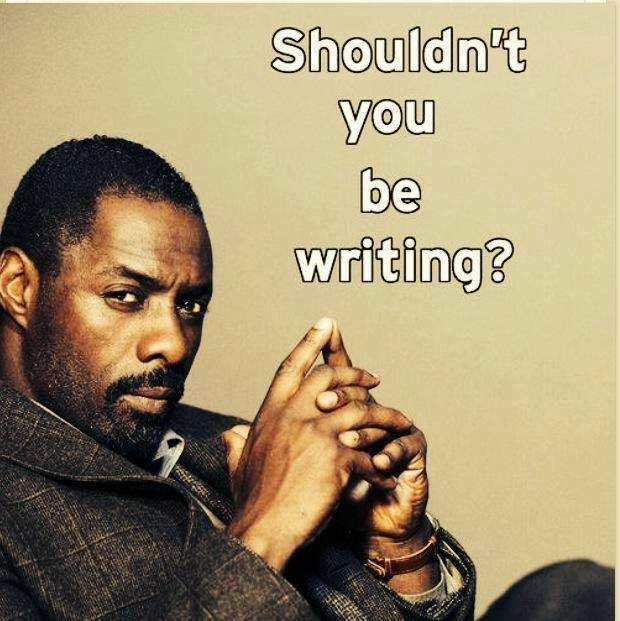 Yes, Idris. Yes, we should. The story faced two primary struggles: I had geared it toward literary readers who might not be familiar with fantasy or magical realism, so I had minimized fantastic imagery. And I was relying on the gimmick of a late reveal to give an entirely new sheen of meaning to the story. Like The Sixth Sense. In January, lecturing at the Whidbey MFA program, I gave a talk on writing mystery and suspense that specifically addressed the pitfalls of too much concealment. And here it was, right under my nose. Writing doesn’t get harder—it just stays hard. With practice, we expect it to get easier, but in truth we stretch ourselves and grow and grapple with new lessons. We seek new words to create order of the joys and terrors of our lives. I don’t want to get tired of writing. Writing gives me too much. All of my fiction in recent years, one way or another, has helped me process the long illness, suffering and death of my mother, Patricia Stephens Due, in 2012—and the growing toll of time on my friends and family, who are also aging, sometimes dying, like Octavia Butler and Leslie (L.A.) Banks and E. Lynn Harris. I still can’t believe any of them are gone. With a struggling project, sometimes it’s appropriate to move on. In my case, I needed to write more short stories before I started a novel. I think this is true of most writers. The ideas were bigger than my skill level—and by the time I gained the skill level, I had bigger ideas. But giving up is very different. If you have to write—if you must write—don’t give up on yourself and your projects. Carve out the time. Commit it to paper as a goal. Create an outline. Have writing quotas. And be brave enough to find beta readers to help you assess your writing. Trade manuscripts. Start a writing group, even if it’s only a group of two. As readers, we can easily point out the flaws in the writing of others—but when it comes to our own, we often are standing too close. We need beta readers. We need editors. We need people who aren’t afraid to tell us the truth. And then stop revising and ask for a reader’s eyes. Because it may be ready at last. 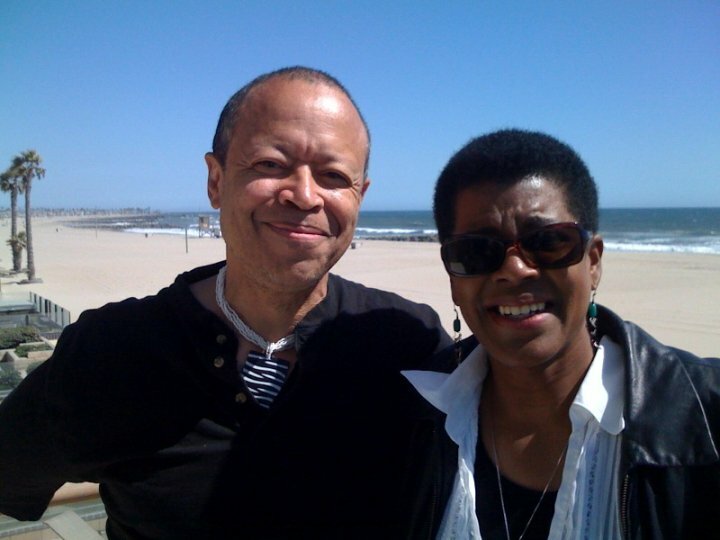 Tananarive Due and Steven Barnes are teaching an online writing workshop March 7-28th. EARLY REGISTRATION OPEN. More information here. Do you want input from industry professionals on your screenplay idea? 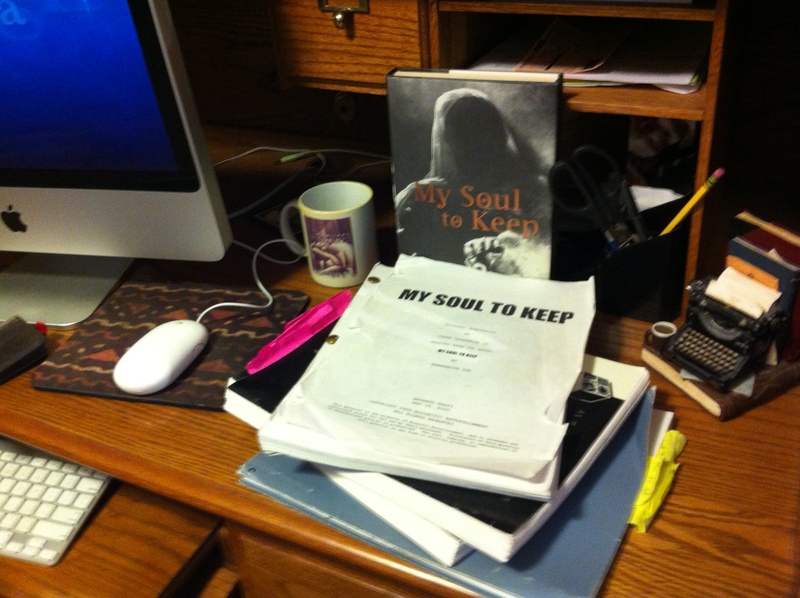 After a successful fall workshop, authors and screenwriters Steven Barnes and Tananarive Due (WGA) are offering an online screenwriting workshop Jan. 10-31 to help you whip your project into shape. Until Dec. 31st, register at our Christmas rate for $300. Regular registration if $350–so save $50 by registering now. Space is limited. New York Times bestseller Steven Barnes has written more than twenty-five science fiction, fantasy, and horror novels. His “Stitch in Time” episode of “The Outer Limits” won an Emmy. The NAACP Image Award winner also has written for “The New Twilight Zone,” “StarGate,” Andromeda,” and “Ben 10.” He has been nominated for written for Hugo, Nebula and Cable Ace Awards. 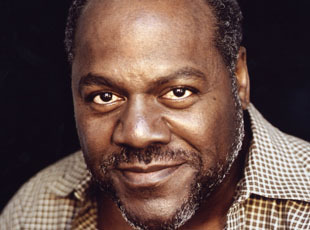 In 2013, he and his wife, Tananarive Due, co-wrote and co-produced the short film “Danger Word,” based on their novel, Devil’s Wake. He and Due recently sold a cable TV adaptation–details soon! I’m looking for 3 current Spelman College writers to send to Miami (VONA) in January. Here’s why. Most of us know that becoming a writer takes voracious reading, good teachers and readers, conscious living, and endless practice. But the importance of a community cannot be overstated. Not only does the right community of writers give you the careful readers every writer needs to grow, but community lends a sense of homecoming that can electrify your art. For writers of color, who face specific issues of ethnicity and race both in their work and in the publishing world, a community can feel as necessary as oxygen. 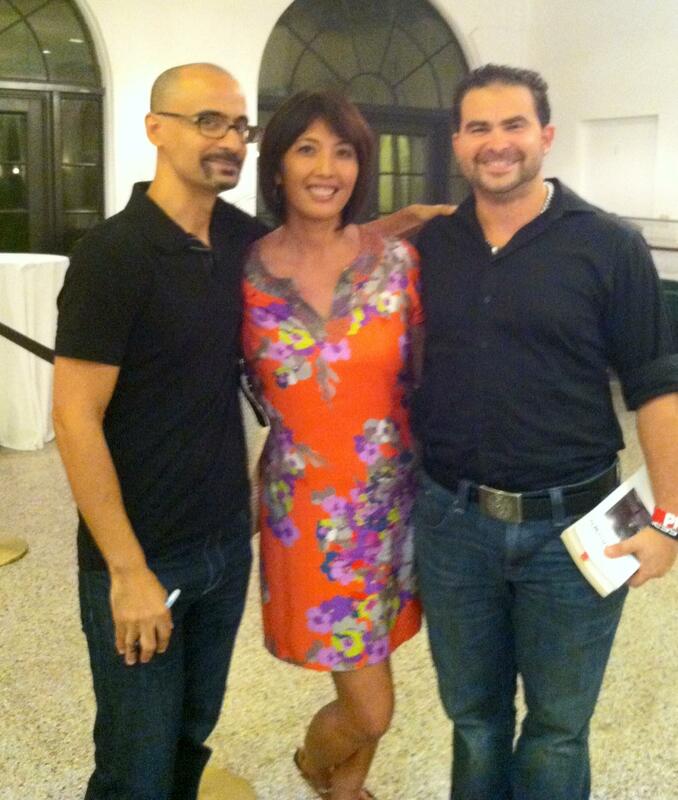 That’s why I love the Voices of Our Nations Arts Foundation (VONA), co-founded by Elmaz Abinader, Junot Díaz, Victor Diaz and Diem Jones, best known for its annual summer workshops for writers of color at Berkeley. I have taught at VONA, and it’s an unforgettable experience. In fiction, Nigerian novelist Chris Abani (Graceland). In poetry, Willie Perdomo (Smoking Lovely). Watch Perdomo on HBO’s “Def Poetry Jam” on YouTube. In memoir, Elmaz Abinader (Children of the Roojme: A Family’s Journey from Lebanon). And M. Evelina Galang (Her Wild American Self), director of the MFA program at the University of Miami, is conducting a residency. 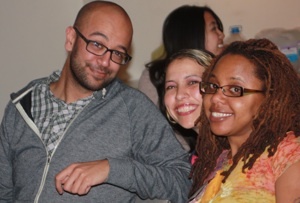 It’s the same top-notch VONA faculty over a long weekend. In Miami. Programs like VONA matter to developing writers. That’s why, as the new Cosby Endowed Chair in the Humanities at Spelman College, I’m looking for three Spelman writers to send to Miami VONA. Yes, it will be challenging—Spelman students are undergraduates. Although VONA has no educational requirements, many VONA writers are post-MFA and at the cusp of publication, if they haven’t been published already. But it’s never too early to learn the importance of a writing community…especially when our students will return to campus to help other Spelman writers build a stronger community of their own. PERSONAL STATEMENT: Your personal statement might carry as much weight as your page submissions. 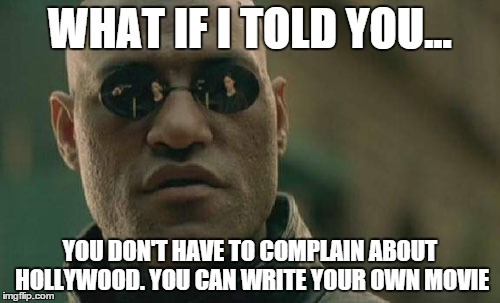 Write at least 300 words explaining 1.) Why writing is important to you, 2.) What you hope to accomplish at VONA, and 3.) What your goals are as a writer. (Double-spaced) Longer statements are permissible. ALL GUIDELINES MUST BE CAREFULLY FOLLOWED IN ORDER TO BE ELIGIBLE FOR THE SCHOLARSHIP. 1.) Be sent electronically to Tduespelman@gmail.com in Word, attached as a text file. Do not include any portion of your application in the body of the email. 2.) Have a heading that includes your name, email address, telephone number and preferred genre (Fiction, Poetry, Memoir). 3.) Be solely your original work. 4.) Include the words VONA APPLICATION in your subject heading so it will be easily seen. REMINDER TO SPELMAN STUDENTS: You should visit the VONA website for reference at http://voicesatvona.org/Miami_VONA_2013.html), but do not apply to VONA/Miami directly from the website unless you have received notification that you did not win and you are willing to pay out-of-pocket. All scholarship applications will be processed by Spelman faculty. Send any questions to Tduespelman@gmail.com with the heading VONA QUESTION. Tananarive Due, a novelist and screenwriter, is the Cosby Endowed Chair in the Humanities at Spelman College in Atlanta. She is the author or co-author of a dozen novels, including the African Immortals series (My Soul to Keep, My Soul to Take) and the Tennyson Hardwick mystery series with her husband, Steven Barnes, and actor Blair Underwood. Her website is www.tananarivedue.com. FOLLOW her on Twitter @tananarivedue.